Sea Buckthorn (Hippophae Rhamnoides) is a super fruit full of all the Omegas – 3, 6, 9 and the rare 7, as well as a host of antioxidants and other healing nutrients. It has been used to heal psoriasis and make skin glow, boost immunity, slow aging, and lower cholesterol, but it also has numerous other qualities that make it a superior source of vitamins and minerals we all need. 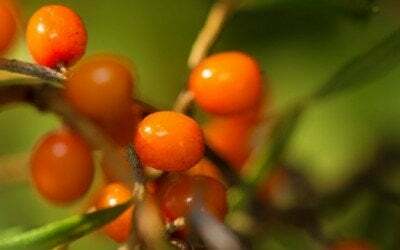 Read below to learn about the various health benefits of sea buckthorn. Sea Buckthorn is quite a miraculous berry.